Taking a step back to understand the buzz about Slow Food. I am exploring the special interests groups that can be found online and using Slow Food to hone in on a specific area. 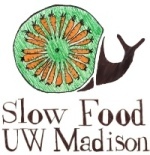 I have joined the Slow Food UW Facebook group and page. Many cities around the nation have chapters dedicated to their efforts for Slow Food and the UW is uniquely one of the few college campuses that has a chapter. I am also hoping to explore various blogs and twitter handles that dedicate their information to the Slow Food movement. A question to consider is how this movement can impact your life as a college student who is starting to cook on their own? Also how this may affect your consumerism practices? 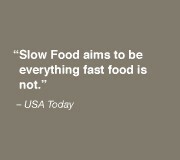 For more information regarding Slow Food check out Slow Food USA.